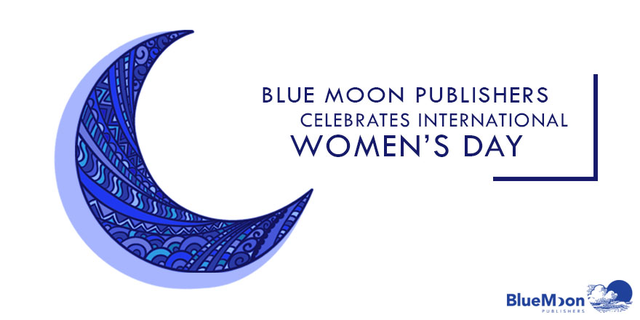 Here at Blue Moon Publishers, we are proud to publish a variety of women’s fiction titles: books written by women that address real issues in a modern way that is sensitive and thoughtful. In celebration of International Women’s Day, we asked our women’s fiction authors to tell us a little bit about why they write in the genre, and what women’s fiction means to them. I think of women’s fiction as being a handy label for work that is considered to appeal to women. It cuts across genre and style and, as such, can be impressively wide-ranging. I know a little something about being a woman, so my writing quite naturally gives in-depth analysis of, and perspective to, female characters and situations that concern women. It’s not designed, however, to exclude male readership; it includes male perspectives, and social commentary can be appreciated without any gender agenda. I wrote my first novel, Amish Guys Don’t Call, from a female perspective because many of the events in it are inspired by things that happened to me. It’s definitely fiction but contains emotions and events that I imagine other women will also relate to. It’s about first love, culture clashes, girl bullying, shoplifting, religion, strained relationships with parents, and why horror movies are cool. I don’t think these are exclusively female topics, but I do look forward to my readers’ stories of how they connect to the issues and themes in the novel. I’ve always gone to books for comfort, whether it’s because I can relate to the characters or for laughter and escapism or to learn about the paths of others. As an author, I feel honoured to provide these respites for others. Women on the verge, on the ledge, on the edge, on the cusp, leaning in, leaning out, changing the world, changing themselves, changing the diapers, changing the oil in the car, enlightened, brightened and bold, I find very intriguing. Books about all the previously mentioned, under the umbrella of women’s life experiences, creates a unity and solidarity among all women, which I find particularly comforting. I guess part of the beauty is: you are never alone. Women’s fiction connects women, whether literally as in, “Hey, did you read the new this book or that author? Let’s get together and talk about it!” Or figuratively as in, “Wow, until I read her book, I thought NOBODY ever felt the way I do.” Either way, connecting women is a positive movement. I write women’s fiction, partly because of what I said above; being the one to connect the women as readers to authors, readers to readers, and readers to ideas is AMAZING! And, I like to share unique perspectives on that big umbrella I spoke of, using humour, compassion, and real characters. To me, women’s fiction is a conscious, collective effort to elevate the voices of women and provide the full story of the human experience. When I was born, women hid behind pen names to be taken seriously in fiction. The women’s fiction genre is another evolutionary step toward changing the perception that women can’t write meaningful literary works. Although I may not face the same challenges as the women who fought to win the right to vote, to wear pants to the office, or to buy a house without a man to co-sign the loan, it is my responsibility as a thinker, dreamer, and proud bearer of the X chromosome to continue the work of representing the human story. I write to fill in the missing pieces. What does Women’s Fiction mean to you?